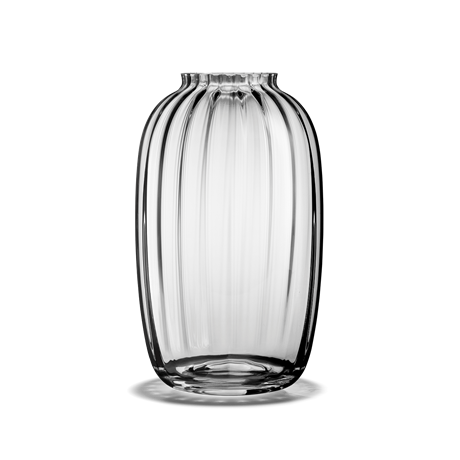 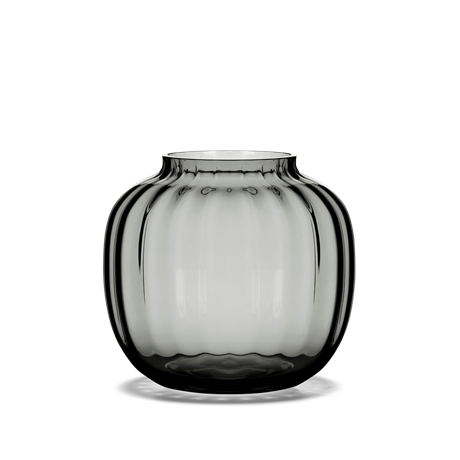 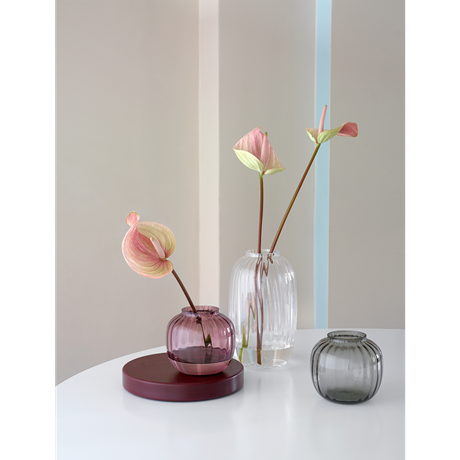 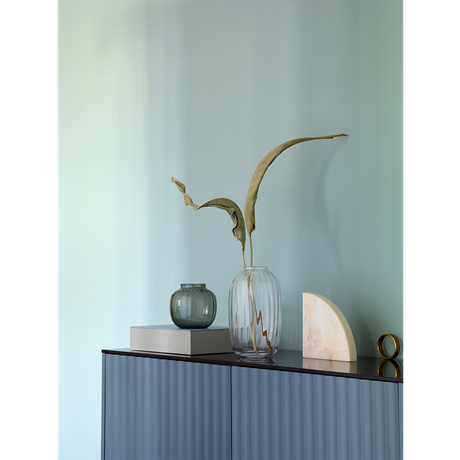 The beautiful Primula vase in clear, hand-blown glass from Holmegaard was designed by Jacob E. Bang. The vase stands 25.5 cm tall and is designed with an attractive, optical pattern that creates unique interplay in the glass. 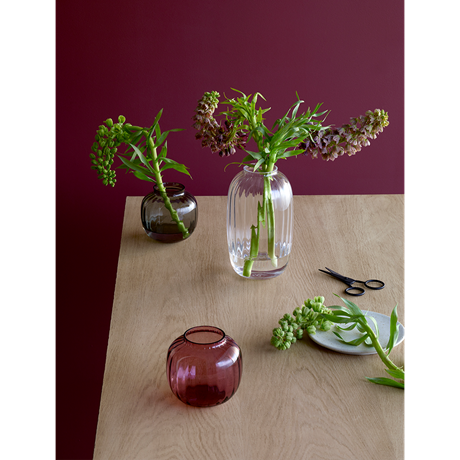 The Primula vase is great for displaying either a single flower or a combination of flowers, which will look magnificent in the clear glass vase, where the colours really come into their own. A smaller, plum-coloured version of the vase is also available.